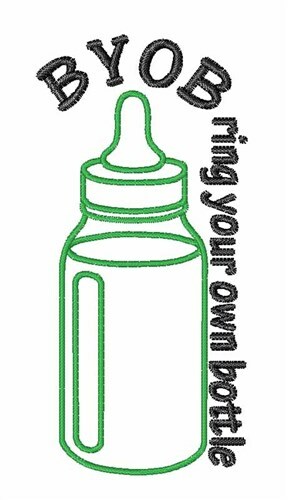 This baby bottle outline is great for baby shower gifts and decorating. Satin Stitch is happy to present BYOB machine embroidery design which has 5552 stitches and is [49.66 mm x 101.55 mm] large. If you would like to view more embroidery patterns please search on our embroidery designs page.